We've taken the accessories we recommend seriously and only after careful consideration do we make them available to our clients. They must improve the performance of our systems and truly be audible while presenting excellent value. 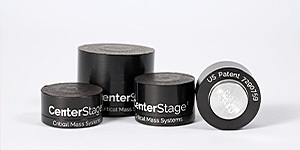 Center Stage, a breakthrough anti-vibration product support system that is the culmination of 17 years of experience in the rack designing business. No matter how good your system is, Center Stage will add a new dimension to your listening experience that you will find highly beneficial. The serious audiophile who is interested in aligning - if only periodically - his analog front-end to the utmost precision does look for precision which comes handy and which is easy to operate. To answer this request we have designed the SMARTractor. Setting up your analog front-end with unparalleled precision - and with the BEST SONIC results obtainable - is only a matter of a few minutes when using the SMARTractor. 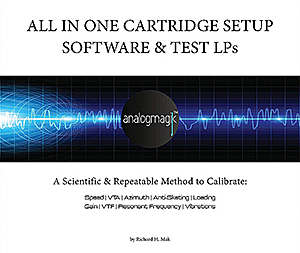 AnalogMagik is a Windows-based turntable cartridge calibration software designed by Richard H. Mak and a team of engineers. It offers a scientific and repeatable method of calibrating every cartridge setup parameter. After you have performed a basic alignment on your turntable's cartridge using an appropriate alignment tractor, our software and Test LPs will attempt to optimize and fine-tune all the above setup parameters to achieve a more accurate analog cartridge setup. AnalogMagik comes with the software program, a license USB key, and 2 Test LPs (33 1/3 & 45 rpm). 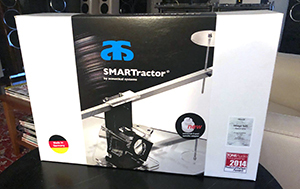 Please note that the Acoustical System SMARTractor is a separate tool which we recommend, but it is not part of the AnalogMagik product package. The HRS Analog Disk record weight is a highly innovative design that eliminates record groove noise revealing a new level of musical performance. It is manufactured from a proprietary HRS polymer and billet-machined precise primary metallic part bonded together using a precision transfer mold with less than one thousandth of an inch tolerance for perfect alignment and balance. The weight and final polymer properties are based on years of development tests. The Analog Disk Light (ADL), with a 315 gram mass, is design to be used with a very wide range of turntable designs including low mass and suspension turntable designs. The Analog Disk Light, with its primary metal part manufactured from a high quality heat treated aluminum alloy, is available in ADL-B (Black Finish) and ADL-S (Silver Finish). Both the black and silver versions of the ADL are identical in performance. Acoustic Room Treatment that focuses music and voice without room boundary interruption. 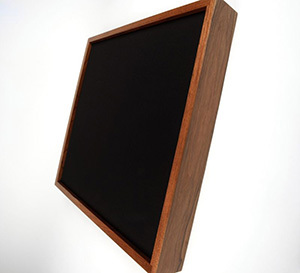 The Stillpoints Aperture acoustic treatments are uniquely designed to absorb a broad range of frequency reflections from bass to highs. They are very powerful, so you do not need to invest in a dozen, three or four usually do more than 10 or more of competing absorbers/diffusers. You can get them with oak, cherry or walnut frames with white, black or cream fabric. Choose from three natural wood frame species: Light Oak, Cherry, or Black Walnut. Match with one of three fabric colors: Cream, Black, or White. Ultimate Refinement - Ultimate Luxury - Ultimate Affordability. 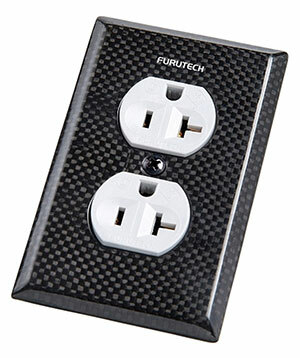 The new and greatly improved Pure transmission 104-D duplex Receptacle Cover Plate is finished in carbon and glass fiber with stainless steel screws. 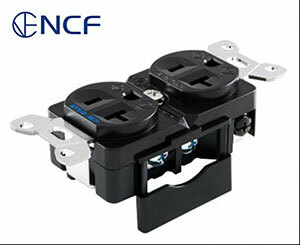 Incorporated into select Furutech products, Nano Crystal Formula --- NCF is comprised of a special crystalline material that has two “active” properties. First, it generates negative ions that eliminate static and secondly, it converts thermal energy into far-infrared. 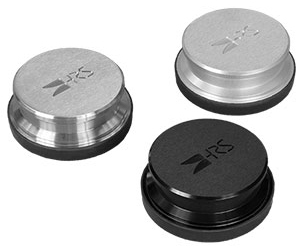 Furutech then combines this remarkable crystalline material with nano-sized ceramic particles and carbon powder for their additional “Piezo Effect” damping properties. The resulting Nano Crystal Formula is the ultimate electrical and mechanical damping material only found in Furutech products! Machined from a single block of 2017 Duralumin! RTP-2, 4 and 6 ultimate boxes are made from 2017 Duralumin, which has the best vibration damping characteristic and sound quality. A machined structure has far better vibration damping characteristics, sound quality and overall lower distortion when compared with metal sheets bolted together to form a box. The box's maximum thickness is 25mm, making it able to be very highly effectively in shielding the inner structural elements, and yielding a very high S/N ratio. The inlet wiring connection is non-solder. ACOUSTIC REVIVE avoids solder connections when possible because it destroys signal transmission..
For internal wiring, we adopted FURUKAWA Electrical Industry’s oval shaped very thick PCOCC-A which as the ultimate conduct characteristic. PCOCC-A is a annealed version of PCOCC (single crystal copper) manufactured by the high technology of FURUKAWA Electrical Industry. 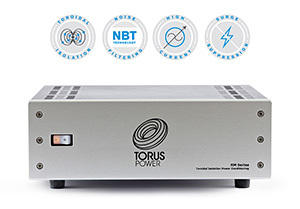 The importance of high quality power supply connections is now widely accepted. Many enthusiasts install dedicated power lines for their hi fi systems and no longer question the importance of the quality of the receptacle fitted to the wall. 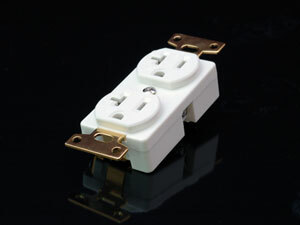 Conventional "hospital grade" connectors can improve the strength of the mechanical connection, but they are far from ideal for realizing the best sound quality. 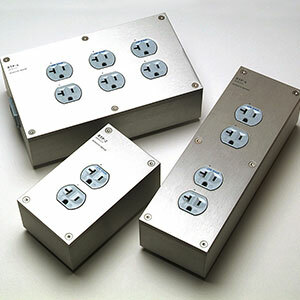 Their objective was to develop receptacles whose sole purpose was to deliver the highest sound quality possible. Every part has been designed with this in mind. Extensive research into the effects of plating methods has yielded three equally valid but different types of sound for you to choose from. The entire series is non-magnetic to avoid any disturbance from magnetic fields. All cables are manufactured by a special technique which I developed Heiko Wingender. Every cable is assembled by hand. The silk isolated signal wires are cryogenically and thermally treated, pair wise twisted, mounted on a special device and finally varnished with C37 natural resin lacquer. A C37 lacquer mixture is used for this special applications on signal wires by the inventor Dieter Ennemoser. The signal wires are screened and protected by an outer jacket, one for each channel, matte black surface and around 4 mm diameter. The signal wiring and the screening/earth wiring are completely separated so the signal wiring is symmetrical and balanced to ground. A terminal lug connects the screening to the phono preamplifier. The completed cable finally undergoes a 24 h burn in process with a special modulated high current signal. 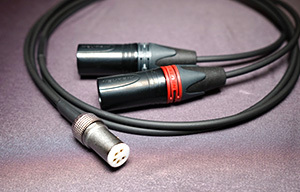 These cables compete with or surpass the best and most expensive phono interconnects from famous manufacturers as many customers reported.